Here&apos;s a fun one: at the end of January it was reported that Goldman would be cutting 5% of its global workforce, because (pick one) a. These bottoms weren&apos;t living up to the Goldmany Goldman standard b. As it turns out, Goldman&apos;s not better than everyone else (well, better than Citi but who isn&apos;t?) c. Someone knocked over the printing press GS uses to make the money and with the new one on back order and the Kinkos employees on break, the firm was forced to take desperate measures. Either way, 5 percent globally, not that big a D. Now some rumors going around the city&apos;s biggest shuls seem to imply that things are worse than previously imagined. Apparently unexpected firings at 85 Broad today have people panicked that Goldman could layoff an overall 25 percent of its workforce. Meanwhile, Peter Kraus, who took over as head of investment management in June 2001, just retired, according to sources familiar with the matter of making a firing look involuntary (We kid!...). Remember Mark Spilker? He was the guy who cut down Kynikos founder Jim Chanos&apos;s hedges in the Hamptons without asking first this summer. 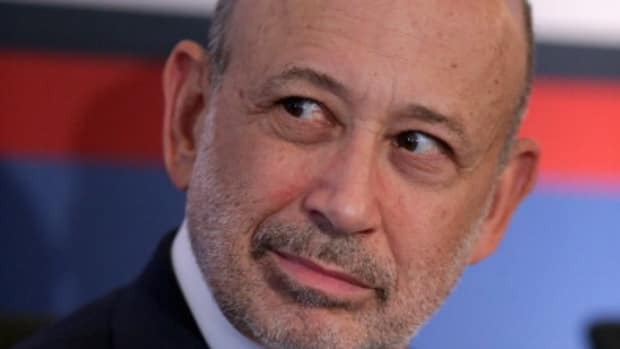 He was just added to Goldman&apos;s management committee, the small coterie which runs the bank. That can&apos;t be good. Goldman, of course, had no comment (unless you consider the sound of someone laughing and crying at the same time a comment). Layoffs Watch '14: Goldman Sachs?